Check out this awesome sneak peek of #TheBoxtrolls! HomeCheck out this awesome sneak peek of #TheBoxtrolls! This is Based on the novel Here Be Monsters by Alan Snow. A family event movie from the creators of “Coraline” and “ParaNorman” that introduces audiences to a new breed of family – The Boxtrolls, a community of quirky, mischievous creatures who have lovingly raised an orphaned human boy named Eggs (voiced by Isaac Hempstead-Wright) in the amazing cavernous home they’ve built beneath the streets of Cheesebridge. When the town’s villain, Archibald Snatcher (Academy Award winner Ben Kingsley), comes up with a plot to get rid of the Boxtrolls, Eggs decides to venture above ground, “into the light,” where he meets and teams up with fabulously feisty Winnifred (Elle Fanning). Together, they devise a daring plan to save Eggs’ family.This looks completely ADORABLE! Check out the video below for a sneak! 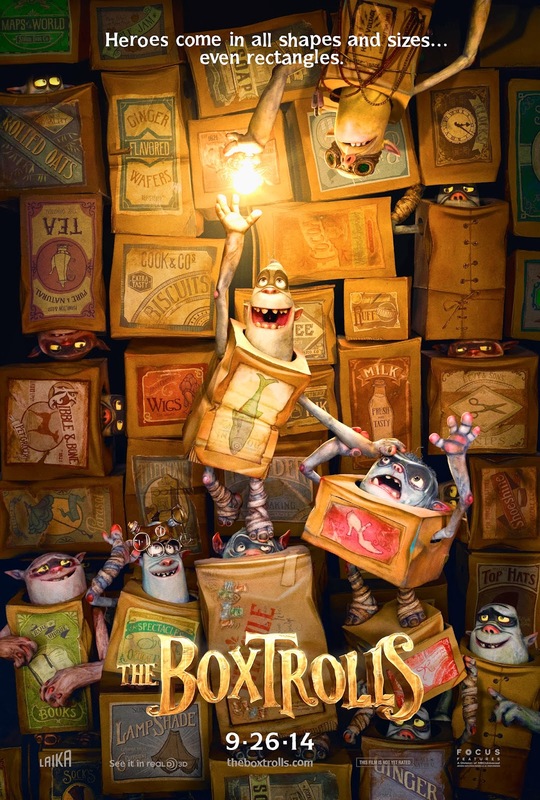 Visit the official The Box Trolls Official Site to stay up to date with the latest! Be sure to visit them on Facebook and Twitter below as well! Watch it in theaters September 26, 2014!